For a legendary, platinum-selling Two Tone band, The Selecter doesn’t really et the attention it deserves. 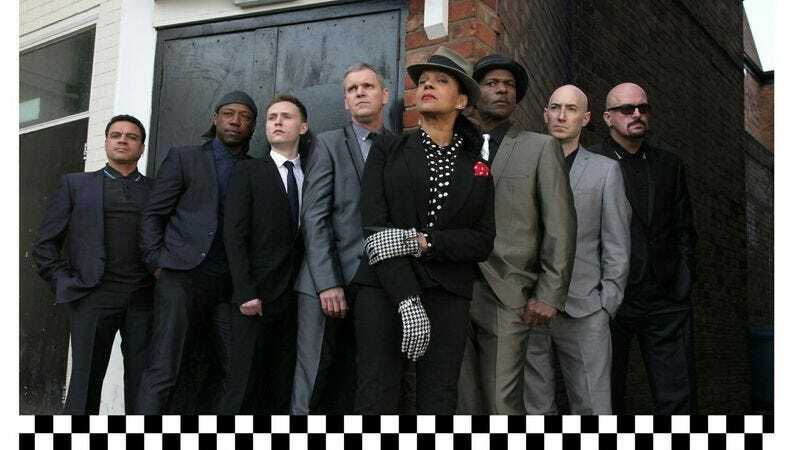 The British ska-revival band formed in the late ‘70s and released a number of really great tracks, including tracks like “Too Much Pressure” and “On My Radio.” Notable also for being fronted by both a man—Arthur “Gaps” Hendrickson—and a woman—Pauline Black—The Selecter has influenced everyone from Gwen Stefani to John Lennon. Sometime in 2014, the group will release its new record, String Theory, in the states and will tour the country this fall for the first time since the ‘90s. A full list of tour dates is below. In anticipation, The A.V. Club has the premiere of one of the tracks off the record. “A Prince Among Men” creeps along with flair, accented with Black’s distinctive chatter and some hot horn playing.